Mensusa https://www.mensusa.com/articles/black-velvet-bow-tie-and-colorful-tuxedo-combination.html Black Velvet Bow Tie & Colorful Tuxedo- Combination That Accentuates Your Fashion Pursuits Black velvet bow tie in combination with the colorful tuxedos can give you an impeccably stylish appearance. www.mensusa.com offers an exotic portfolio of blue tuxedo. Ties are not merely the neckwear but it is one of the most important fashion adornments for men. No matter it is a formal or an informal occasions, ties accentuate the show of the suits. Based on the dressing needs, you get several types of ties and when it comes to the informal dressing need, the bow tie stands as the most perfect adornment that can be paired with the suits. The bow tie comes as a bit conventional fashion accessory for men. 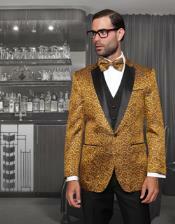 However, even in today's time, the classic options black velvet bow tie stands relevant to the fashion trends. Pairing the bow ties with different shades of suits you can make a public appearance that would surely get appreciated. Be assured that the pairing of the tie and tuxedos would give you an appearance that would surely fetch the focus of the ambiance on you. Discussion on the topic of the matching of the black bow tie with various shades of tuxedo suit, the one that would obviously come at first is the blue tuxedo suit. Blue and black are the two shades that men love the most and in that regard, the combination upholds the grace of masculinity. The combination comes highly stylish yet sophisticated and it work, no matter you pick it for the day time events or for the occasions staged during the night. 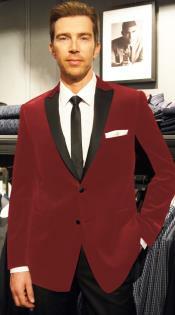 In case you are looking for a deeper shade of the tuxedos to be paired with the black bow tie, the burgundy tuxedo stands as one of the candid options. Burgundy resembling the shades of red imparts a touch of power to your appearance while the black tie imparts a classy and elegant tough. The charcoal tuxedo while paired with the black velvet bow tie would surely enable you to make an impacting appearance to the public. The charcoal shade for the attire would reflect you classy and matured taste and hence, you can pick it in combination of the black tie for the formal occasions. If you are planning to try the combination of the colorful tuxedo suits with the black velvet bow tie in the formal or the business ambiances, the grey tuxedo suits would be the best solution to your quest. The section of the grey shade imparts a mystic touch to your appearance that would pull the attention of the people on you and hence, be assured that your presence would get noticed. You can even opt for the combination of the colorful tuxedos and the black velvet bow ties for the promenade occasions where the gold tuxedo would be the perfect choice as the suit. The golden glitter of the suit and the classy touch of the black tie would combine to elevate your appearance to a level that would come impeccably stylish. www.mensusa.com is the best fashion retailer online wherein you get an extensive portfolio of the top grades of colorful tuxedos, bow ties and other fashion adornments for men at the best rates.